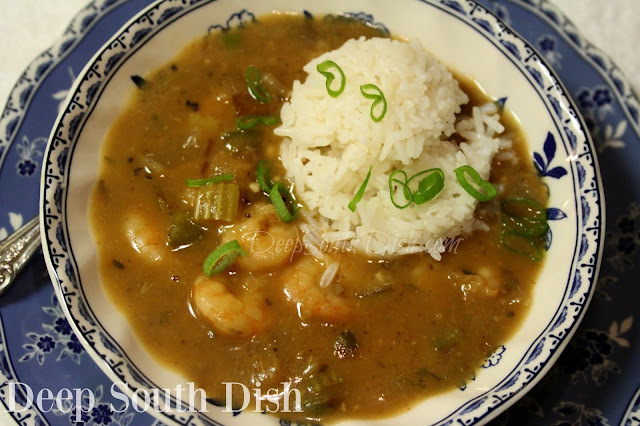 An easy shortcut cheater etouffee that uses cream soup as a roux shortcut and works well for both shrimp and crawfish. Before you scoff at the ingredients in this shortcut method, I say give it a try. I feel certain you will be surprised. It's a technique I learned many years ago from Sissy, a friend of mine from Starkville, Mississippi. 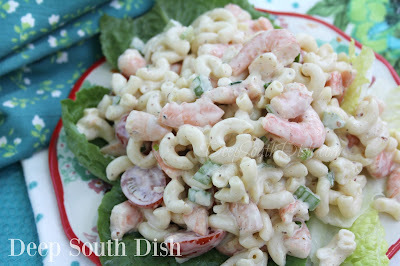 I was at her house one day when I watched her whip this up while we stood in the kitchen chatting, and well, I was both fascinated and skeptical when I saw the secret ingredient. 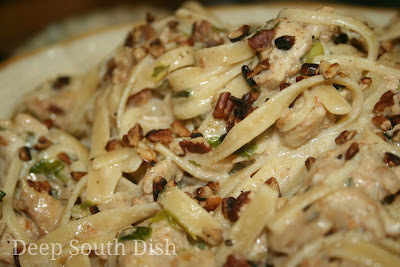 Pan seared chicken breast in a buttery cream sauce tossed in fettuccine noodles with Parmesan cheese and toasted pecans. During the Christmas holidays last year, a popular food blogger posted a cranberry sauce recipe that very often, at least down south, has pecans in it, though this midwestern blogger could not understand why anybody would want to do that! 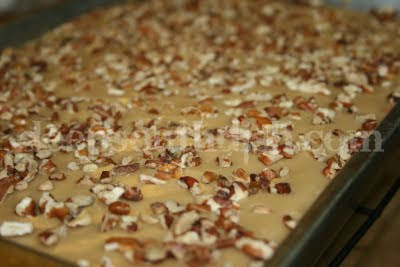 Why everybody down south knows why... it's because pecans are good of course! And generally speaking, plentiful around here, though it seems less so these days. 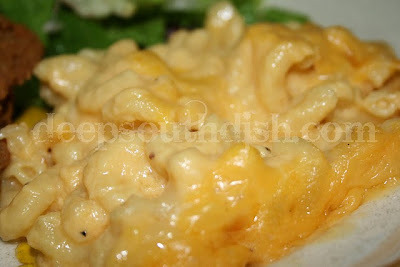 A creamy baked macaroni and cheese that uses a combination of cheddar and Velveeta and a buttery roux. Okay, you probably wouldn't want to eat this every day, but what I mean by that is that this is my 'regular' mac and cheese recipe, as opposed to my special occasion mac and cheese, which is excellent, but very rich, loaded with eggs, butter with cheese. I finally got around to makin' this one, and it, on the other hand, is a little, well, more reasonable, and what you could serve any day of the week. Banana pudding, layered with vanilla wafer cookies, bananas, and a made from scratch egg custard, topped with a homemade meringue. Woohoo, it's homemade banana pudding y'all! 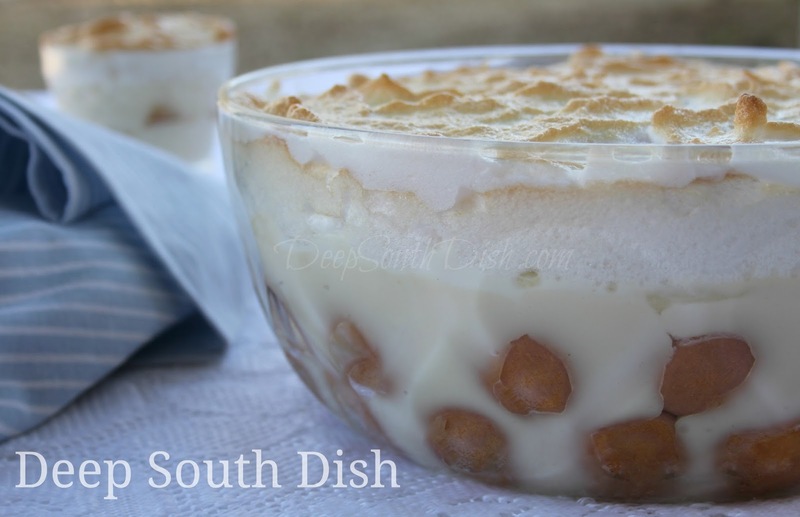 And let me tell you - while we southerners love our banana pudding, we really love it, homemade, from scratch, with real custard, layered and meringue topped. Now that's southern banana pudding - the way banana pudding was meant to be eaten y'all. 91 HUNGRY PEOPLE COMMENTED. ADD YOURS! 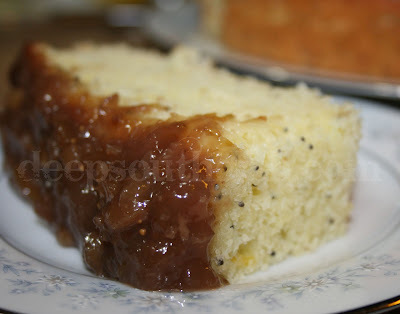 A tender cake of lemon, sour cream and poppy seed is topped off with a glaze made from fresh figs and walnuts. Growing up we always lived in a subdivision neighborhood. 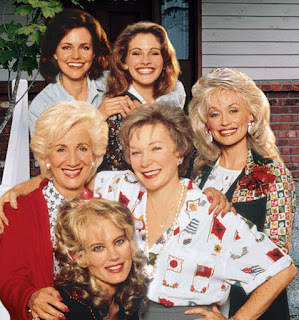 Things were pretty tight-knit in the old neighborhood, and everybody knew each other back in those days. We were constantly outside, playing and running around - nothing like today where many of us don't really know most of our neighbors and you barely even see children out and about. 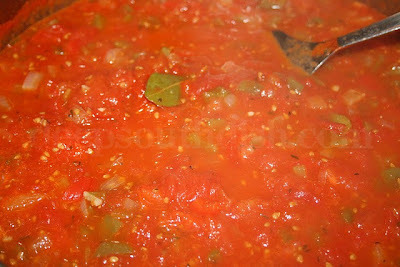 Creole tomato sauce made from garden fresh tomatoes, onion, green & red bell pepper, celery & seasonings. For me, it was a busy weekend around here, and appropriately, much of it centered around food. I don't know why I didn't make some aspect of the food industry my career. Sure would have been fitting since I apparently love it so much! It would have been super cool to have done something like this and make a career with it for sure. Yellow cake mix gets a boost of banana, brown sugar and cinnamon, and is topped with a quick caramel icing and chopped pecans. This cake came about when I saw a from scratch, two layer banana cake that was just gorgeous and looked so darned good with a yummy butter and cream cheese icing and dotted with chunks of walnuts. I even bought the bananas with the intent of making it, but for some reason every time I thought about making it, I would look at the recipe and put it off. 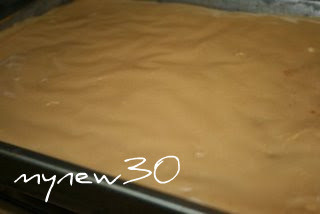 It seemed a bit daunting to me and I'm not a great layer cake baker. Another easy icing, similar in technique to my peanut butter icing, this caramel icing is fantastic paired with Easy Banana Cake, or would be great to top my Basic 1-2-3-4 Yellow Cake. In a heavy bottomed saucepan, combine the butter and brown sugar and cook over a slightly higher than medium fire, until mixture begins to boil. This will take anywhere from 2 to 4 minutes depending on your stove. Once it begins to boil, slowly whisk in the half and half until well blended. Bring back just to a boil, turn the burner to low, remove the saucepan from the heat, add the powdered sugar and vanilla and blend. Return the saucepan to the burner and beat with a wooden spoon until smooth. Icing will get stiff quickly so you'll need to immediately pour over cake and allow it to set. 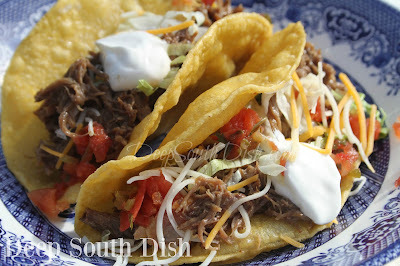 Tacos made with a shredded, well-seasoned Mexican style beef roast. Until I started reading up on them, I never knew that authentic Mexican tacos were made using shredded beef, rather than the Americanized version of Tex-Mex style ground beef tacos we are all accustomed to in the United States, and yes, even in our Mexican restaurants. The other day I was at the grocery store and it happened to be one of the days that they reduce meat, because I noticed lots of yellow stickers from across the aisle in the meat case. So, I wandered over to see what they had and found a great chuck roast for just a couple bucks. Super easy to make, using fresh or frozen strawberries and frozen lemonade concentrate, it's sure to become a spring and summer favorite! 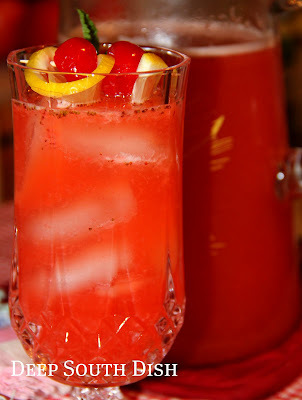 I've gotten a few inquiries about my recipe for the strawberry lemonade I mentioned the other day. Well, there's not a thing to it, because for this I use frozen concentrate. Lemons are a bit pricey unless you are lucky enough to have a mature tree, or you can catch them reduced. Since I have just one baby Meyer lemon tree that is barely 2 seasons old and produced exactly one lemon this year, I only tend to make fresh lemonade for special events and holidays. Many times I use good ole concentrate just like everybody else, and this is one of them, so we'll call this a "speedy" version. Of course you can certainly make a fresh lemonade concentrate (minus the water) with simple syrup and simply add the pureed strawberries to that if you prefer to go from scratch. Chayote squash, known in the Deep South as mirliton or vegetable pears, are steamed and then filled with a seafood stuffing. Once found in the Deep South as a product of the states of Florida and Louisiana only during the fall months, Chayote squash is now generally available nearly year round thanks to California and Mexico. Chayote squash is really nothing more than what we affectionately know down here as mirlitons, or they are sometimes also called vegetable pears, and they are the perfect vehicle for a seafood stuffing. 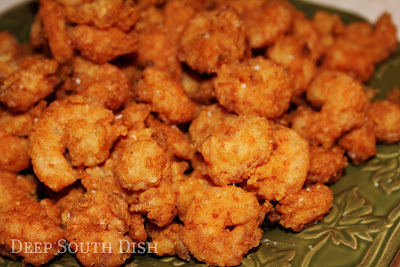 We love our southern fried shrimp in this part of The Deep South and fried up in a deep fryer is the best way to go when you cook fried shrimp. A hot deep fryer cooks them so quickly, that there is far less absorption of the fat, leaving behind a crispy, crunchy and delicious fried shrimp. 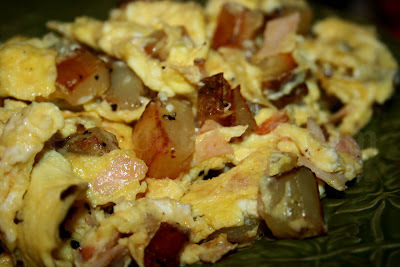 I so love breakfast foods. Oh who am I kidding. I just love FOOD! But seriously, since I have the time in the mornings I love making a hearty breakfast occasionally - especially oatmeal when the weather is cool - but eggs of any kind, any time. Okay. Sometimes muffins or some kind of sweet bread. But most often, eggs. They are a super food for sure, loaded with nutrition. I really enjoy this hash because it's very satisfying and filling and super delicious and I almost always have all the ingredients on hand. I really love the spice of the Cajun fried turkey, but I've used regular deli turkey, and ham also works really well here. You can also switch up the cheese to your favorite of course. 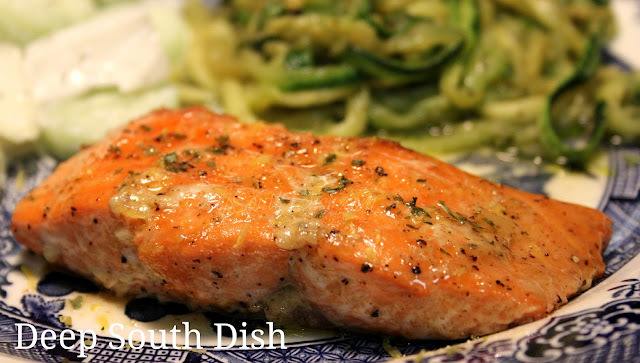 Wild Alaskan salmon dusted with a brown sugar, lemon zest and Cajun seasoned rub and baked. I just love Alton Brown. I am a fan of his show Good Eats (sadly, no longer on the air), and I have all of his books of the same name because they are a true encyclopedia of cooking in my opinion. If you like to learn the science behind foods, you'll enjoy these book and get a few recipes as a bonus. How to preserve those fresh tomatoes in your freezer - no canning necessary! In the South, our growing season starts early and lasts a good while, so even for those who don't typically garden, it is practically an obligation to at least grow some tomatoes, even if it's a simple as a few 5 gallon buckets placed strategically around the yard. I have sure been enjoying fresh tomatoes out of the garden the past few weeks, juicy and sliced nice and thick onto sandwiches, or as big, meaty chunks in a simple cucumber and onion salad, and while I do have a few green ones still out there and a few more blossoms popping up, I think it's time to put a few away, don't you? By the way, that is an untouched photograph y'all ... aren't they just gorgeous? Every one of those came out of my garden. I might not have gotten any peppers or beans to produce this year, but I sure had some purrtaay 'maters!! Anyhoo... I haven't gotten into the whole canning thing with home vegetable gardening. For one, I just don't have that nice pantry storage space like many of you do. For another, I only do a small kitchen garden due to limited sunny areas in my yard, so I've never had a huge garden that really produced enough to "put away." What I do have, however, is a stand-alone freezer, so I like the freezer method of putting away tomatoes because 12 bags stacked up in the freezer sure take up a lot less space than jars in the pantry. Now, do understand, just like store-bought canned tomatoes, you can't use these freezer tomatoes as a substitute for fresh either - you'll have to go pluck one fresh out of your garden for those kinds of recipes, but these tomatoes are perfect for use in spaghetti and pan sauces, soups and stews, skillet dinners and casseroles - things like that, which is really mostly what I used canned tomatoes for anyway. 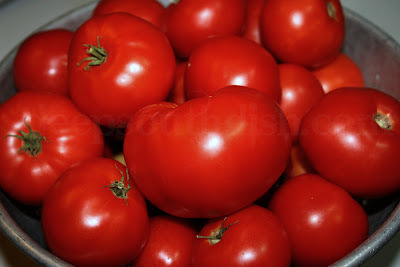 Now if you prefer canning, well, I am only beginning to can minor things like jams and jelly, but there are tons of tutorials out there to show you how to put up tomatoes properly. The freezer method is just one good way to preserve tomatoes, but it's a great way to put up tomatoes if you don't want to fool with canning or lack the space for those jars. What a great, relaxing, wonderful weekend this has been! I hope all of y'all had a great one too - and maybe even an extra day off of work tomorrow? The fireworks display for the 4th was just simply beautiful. I tell you what ... there is nothing like having a front row seat right on the Gulf of Mexico to watch those colorful explosions of light. 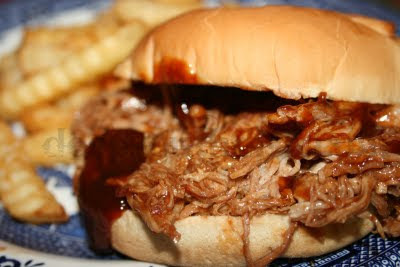 A 3-hour pulled pork that is tender and juicy and tastes like it simmered in the crockpot all day - no kidding. This cheater pulled pork recipe kind of came on a flashback. No, not that kind y'all. But... years ago I really got into frugality, and one of the many places I frequented back then included the Dollar Stretcher website. Now I admit, I had kind of forgotten about Gary until I found him on Twitter and rediscovered him again. Vodka Slush, a refreshing adult drink made from a mixture of frozen lemonade, orange juice and limeade and vodka, or rum if you like. After freezing the mixture is combined with 7-up or Sprite to make a slush. This will certainly help keep you and your other over-21 friends cooled off during all the festivities, while the kids sip on their koolaide, fruit drinks and lemonade. Like a grown up slushie really. Have a safe and fun holiday y'all, and remember, drink responsibly and don't drink and drive! Mix the thawed lemonade, orange juice, and limeade into a large freezer safe container. Add the water, vodka and sugar, mix well and freeze overnight. When ready to mix drinks, remove the frozen mixture from the freezer and scoop into glasses, or let sit for 5 to 10 minutes on the counter to soften, if desired. 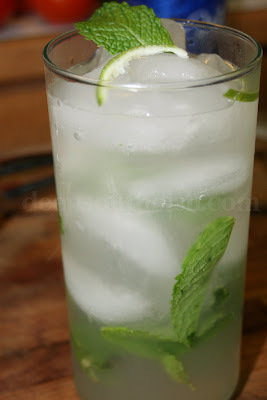 Fill glasses 1/2 to 3/4 full with the slush mixture, then top it off with the 7up or Sprite. Stir and serve immediately. Tiny umbrellas or mini flags totally optional but highly recommended. Enjoy! Variation: Substitute rum for the vodka. Always Drink Responsibly and use a Designated Driver. 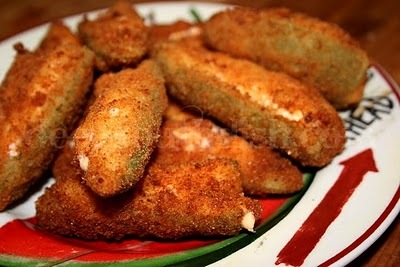 Fresh jalapeno peppers are blanched then stuffed with a bacon and cream cheese, cheddar cheese, Monterey Jack blend, dipped in buttermilk, rolled in flour & deep fried. Yum! We just don't do a lot of Tex-Mex recipes here along the Mississippi Gulf Coast and I'd venture to guess that most folks who live in my area probably buy their poppers from the freezer section at the grocery store! They are not the same as homemade folks, so I decided to make my own homemade version that I have come to love.